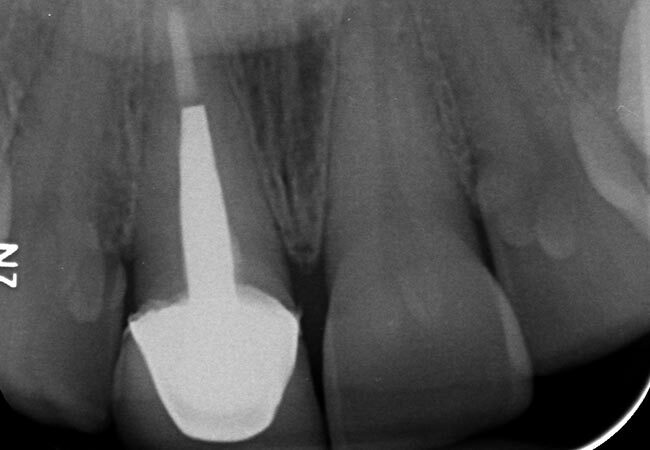 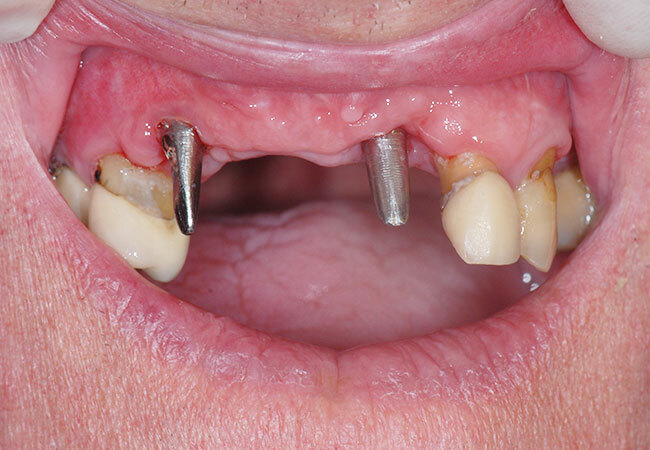 Replacement of a broken upper left central tooth with implant retained temporary tooth on the same day. 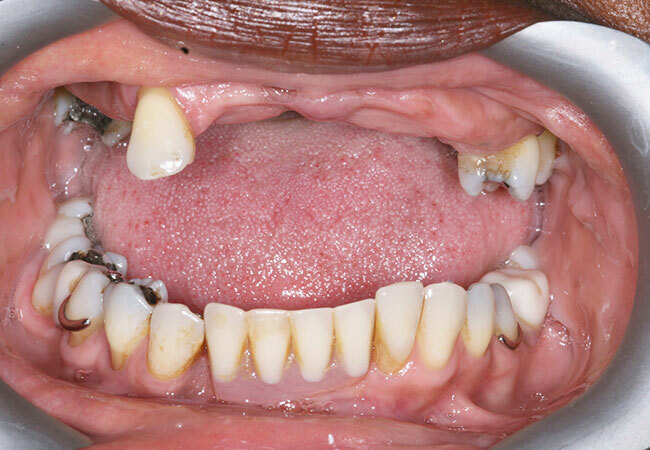 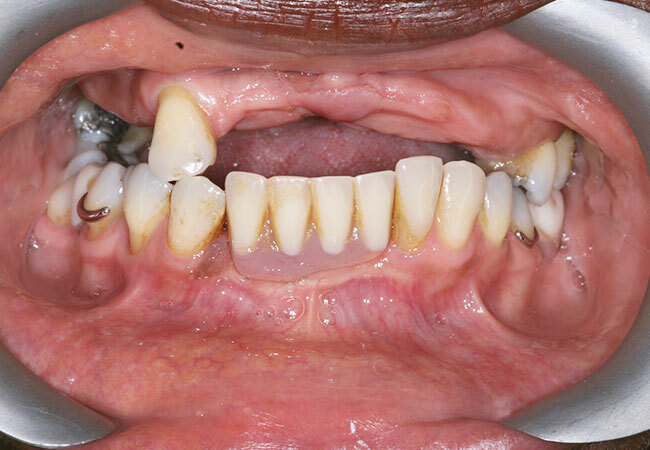 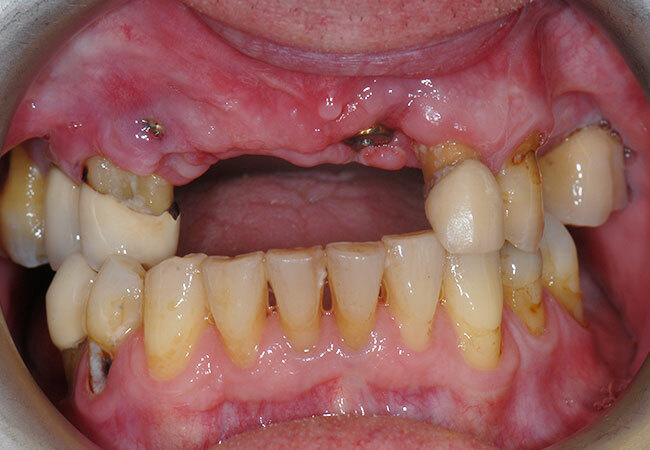 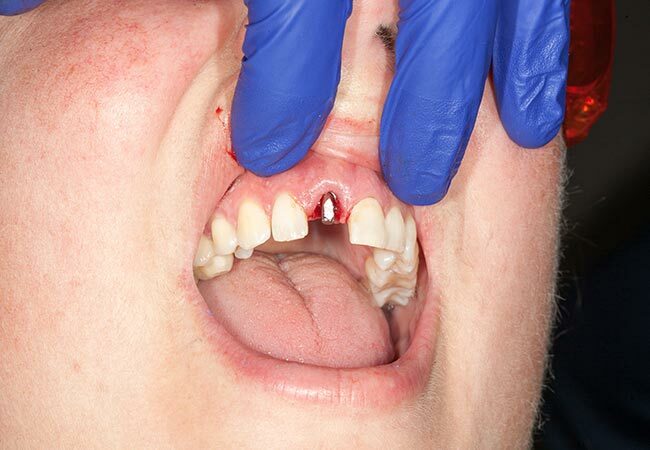 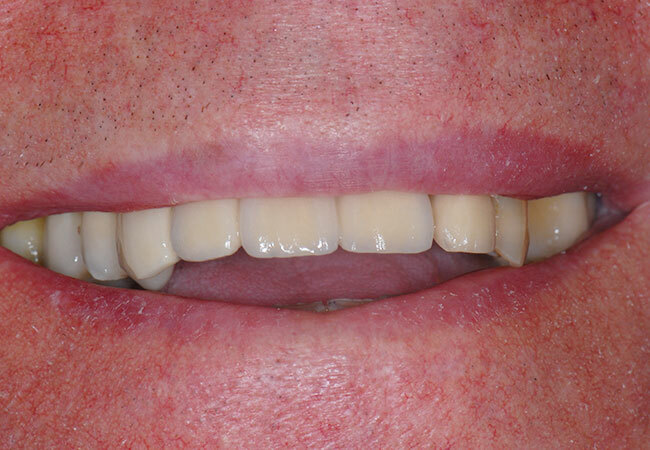 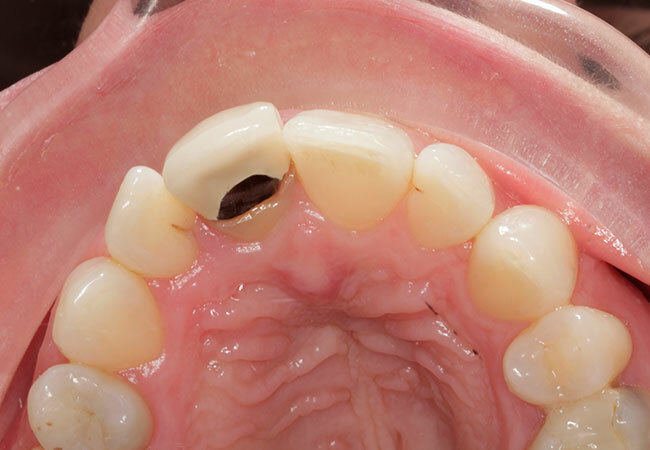 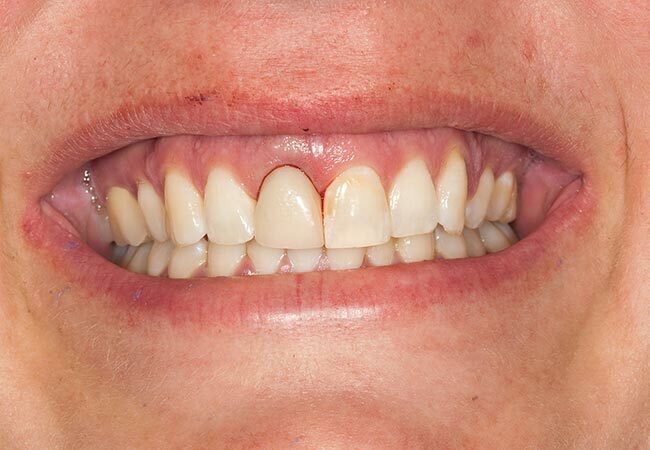 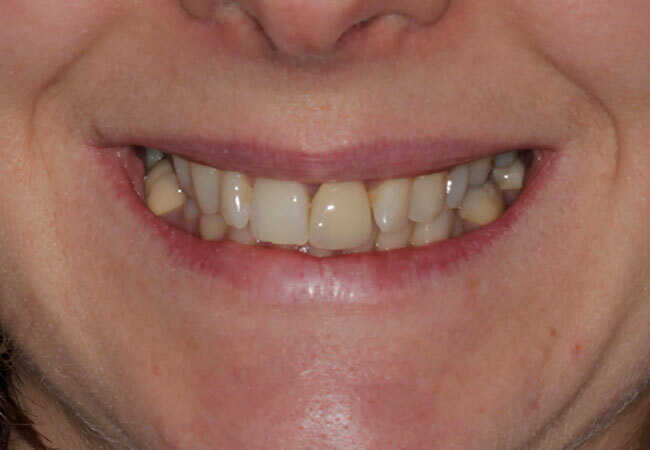 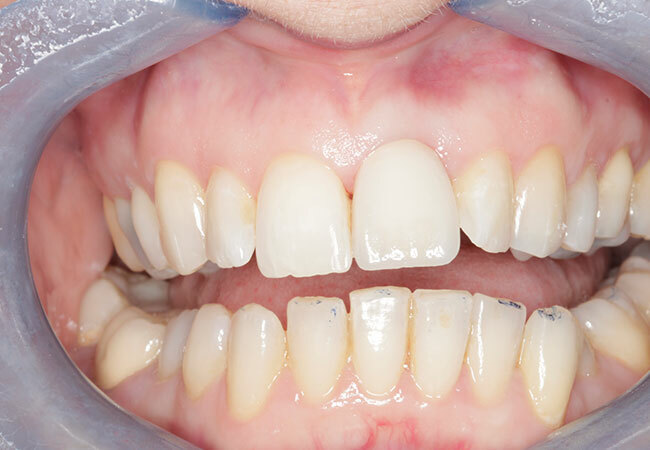 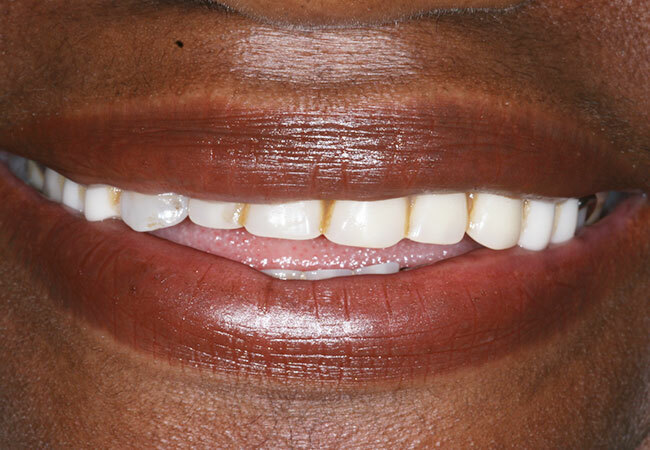 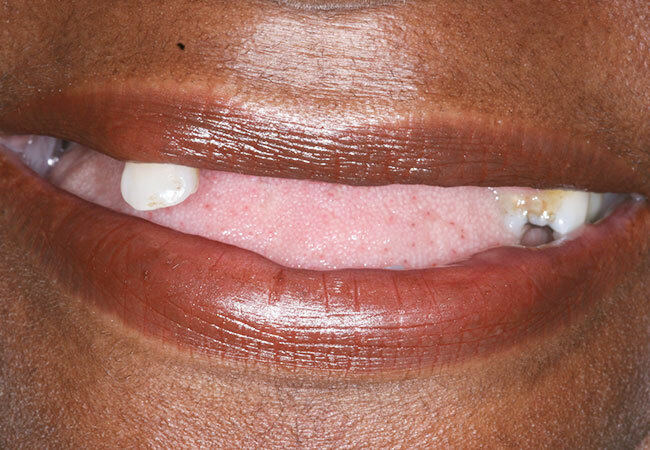 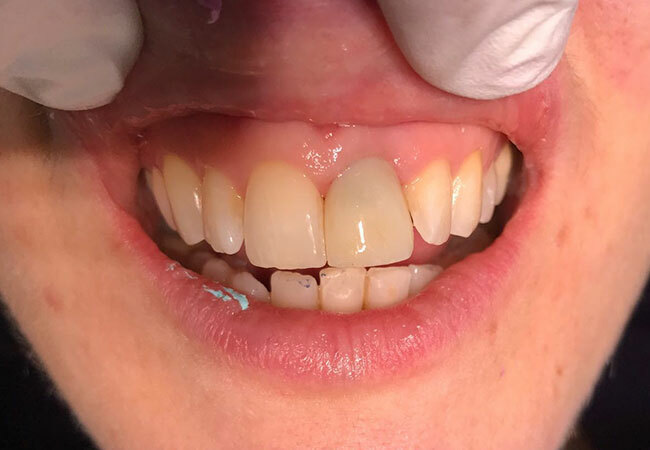 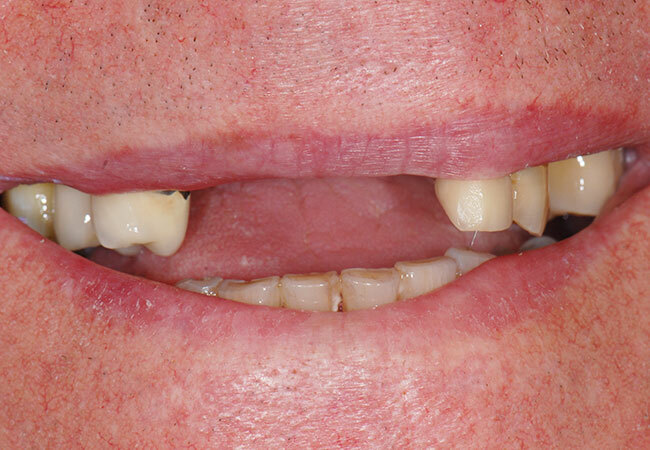 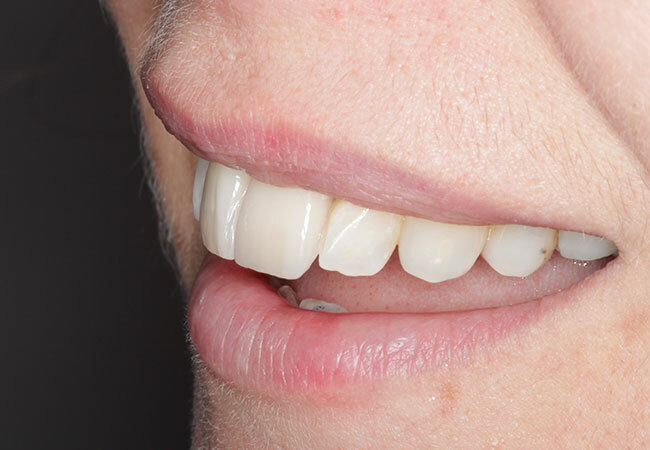 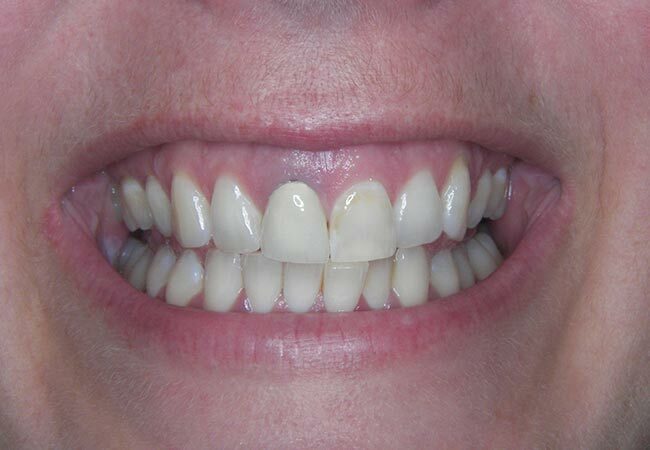 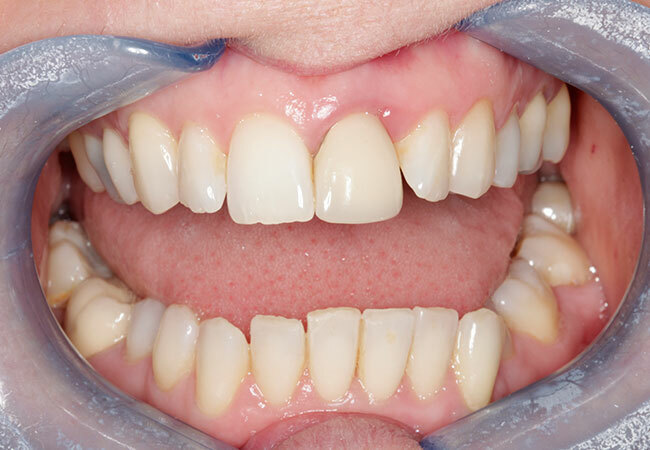 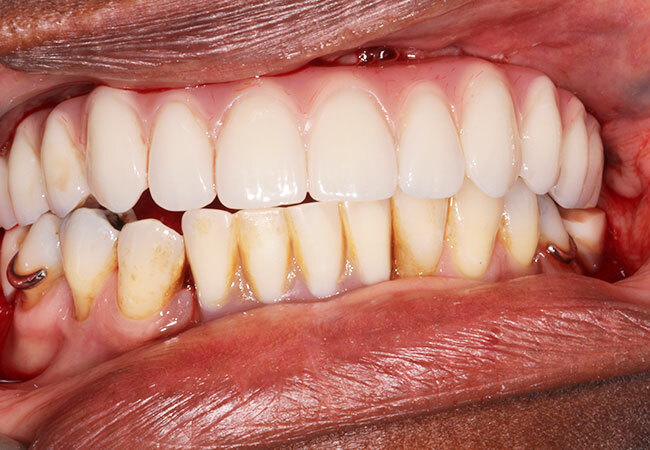 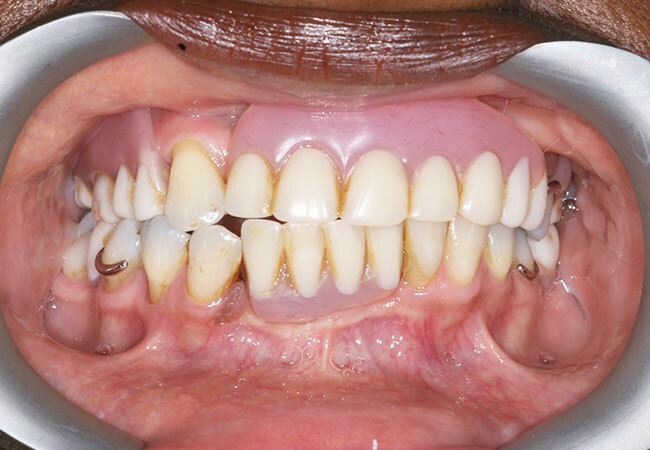 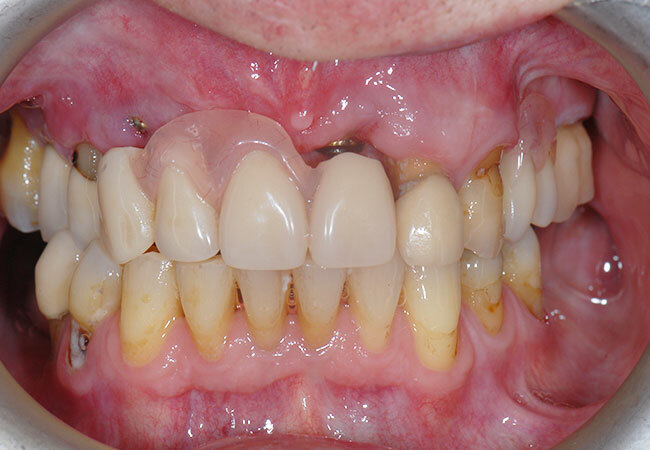 Implant retained bridge to replace missing front teeth. 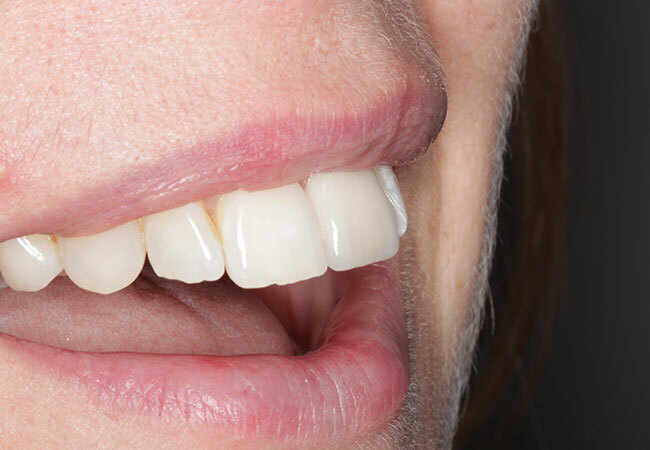 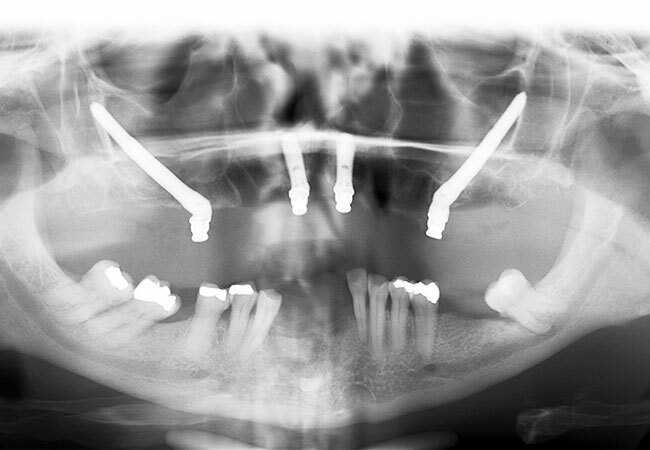 Insufficient bone available to place regular implants so teeth placed on the same day using zygomatic implants. 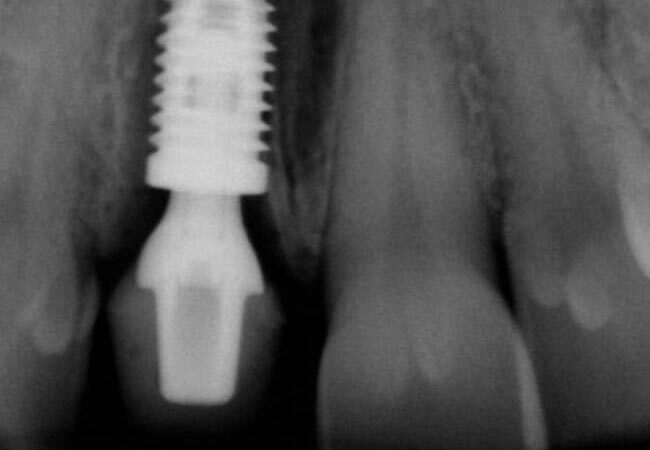 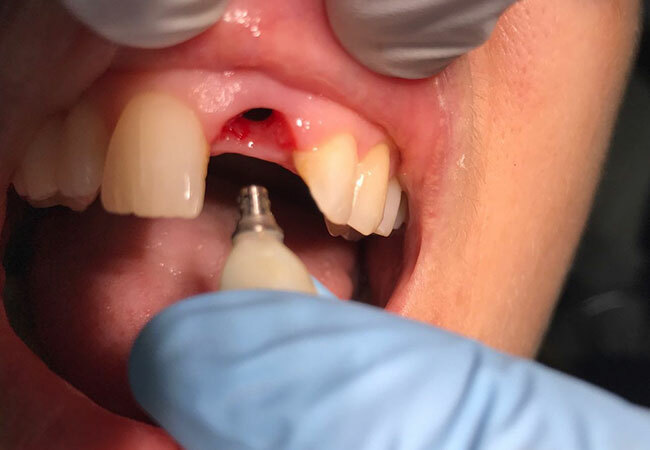 Single implant replacement on broken upper crown.